This kid is off the charts! By far the youngest to free the route (out of only six total), and he also climbs 5.14c sport. 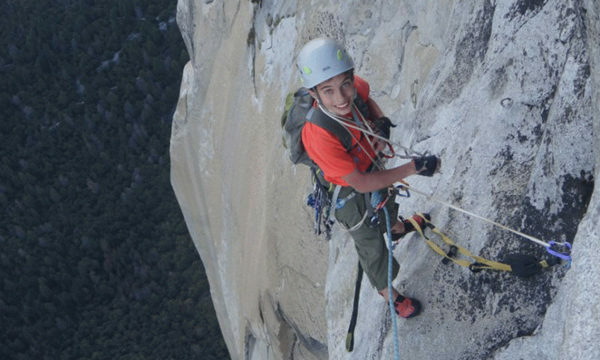 While most kids his age were studying for a chemistry test, Spark-noting The Great Gatsby, or sneaking out to a kegger in the woods, 15-year-old Connor Herson, from Emerald Hills, California, was casually completing the sixth-ever free ascent of the most famous rock climb in the world. This past weekend, Connor, supported by his father, Jim Herson, topped out the Nose (VI 5.14a), on El Capitan, Yosemite, California. 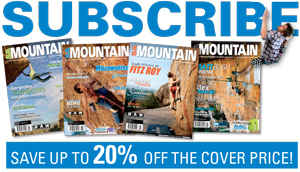 He is the youngest person to free the route by a landslide: the next-youngest was Beth Rodden, who was 25 when she freed the route with Tommy Caldwell in 2005. “It was a Saturday, Sunday, Monday ascent,” reports Jim while “bobbling down the East Ledges” Monday evening with one working headlamp between the two. “It might have been a two-day-ascent but there were fixed ropes blocking the Changing Corners. “He was no-falls to the Changing Corners,” Jim Herson continues from the trail. “Then he had to wait for me to move the fixed lines. By the time I was done, he only had time for one burn, and he slipped off the crux exit move. It was heartbreaking but an awesome effort.” Connor sent the next morning. Photo: Connor on an earlier mission on the Nose, El Capitan, Yosemite Valley. Taken by: Jim Herson.